Automation is becoming ubiquitous across most industries. In manufacturing, global sales of industrial robots are expected to almost double in volume by 2018, reaching 400,000 units. In the home, revenue from the home automation segment is expected to hit over $6 million this year and show an annual growth rate of CAGR 28.19%, writes Dik Vos, CEO, SQS. Brexit: You were only supposed to blow the bloody doors off! Brexit - Does every cloud have a silver lining? One six letter word is all that is needed to sum up the current economic situation, while its consequences, at least for the investment goods sector covered by one other, slightly longer, word - Uncertainty! I don’t think anyone could have predicted how 2016 would have turned out. As I write this, in the penultimate week of the year, the United Kingdom is planning to leave the European Union, it’s government is completely unrecognisable from the one brought us into 2016 – not just the people have changed, but whole departments too, the pound is slowly recovering from hitting its lowest since I was a toddler and David Bowie is no longer with us. Electric motors sold in the European Community are subject to compliance with certain efficiency requirements and design stipulations in accordance with the Ecodesign Requirements for electric motors Regulation EC 640/2009 as amended by EC 4/2014. The Electric Actuator Company Limited, has been designing, manufacturing and supplying electric actuators from their Bradford facility since 1957. They pride themselves on being a British manufacturer of a world-class product, building machines to suit a vast number of applications across many industries around the world. Stemmer Imaging Ltd is the UK’s largest independent supplier of vision technology and services to industrial and scientific OEMs, system Integrators and reseller markets. The VEGAFLEX 80 Guided wave radar level transmitter, was originally assessed for SIL conformity when independently judged and certified by TÜV Rheinland according to IEC 61508:2010 (Ed.2). 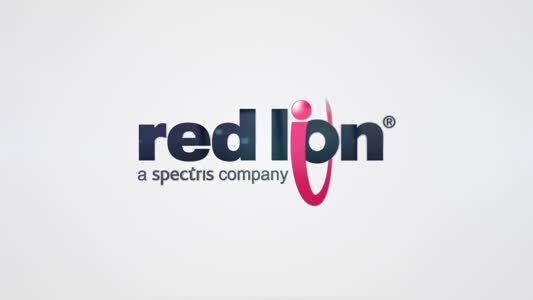 It is also now the first Guided Wave Radar level sensor to also be independently assessed by engineers from EDF Energy Nuclear Generation Ltd, as part of the EMPHASIS project to satisfy requirements on EDF as a Licensee under the auspices of the Office of Nuclear Regulation (ONR). The use of igus®’ polymer components on all moving parts improves machine performance. Their homogenous dry running self lubricating properties prevent the build up of dirt and debris sticking to the moving parts, which in turn can lead to breakdowns and unscheduled maintenance. igus® plastic materials are wear, corrosion and chemical resistant, the product range is so extensive that whatever the requirement of your moving application igus has the solution. Power Electronic Measurements Ltd (PEM) is an established market leader in the design and manufacture of high performance current sensors based on Rogowski technology. The company’s RCT industrial AC current transducer range has been designed specifically for a wide range of industrial applications including process control, power quality measurement, energy monitoring, data logging, protection systems. VEM is an innovative, flexible, and reliable manufacturer of technically sophisticated system and drive solutions, custom drives and single components. The output capacity ranges from 0.06kW to 42MW. Quintex Chooses Vacon Drives - 3,500 Times! Quintex Energy Management Systems, Europe’s leading developer and supplier of demand based ventilation control systems for commercial kitchens, has now used more than 6,000 VACON ac variable speed drives (VSDs) in its Cheetah range of energy management and safety control systems. 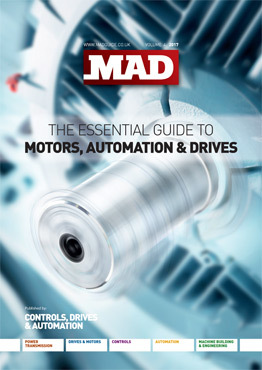 Welcome to the latest edition of MAD The Essential Guide to Motors, Automation & Drives. The last 12 months have seen the UK’s vote for Brexit dominate headlines across the board, and the industrial sector is do different. No surprise then, that many of the articles in this issue of The Essential Guide to Motors, Automation & Drives address the uncertainty created, exploring the threats and opportunities this monumental move presents. Contributions this year also cover a range of subjects from Industry 4.0, cyber security and horizontal innovation, to economic reviews and the productivity gap. A comprehensive products and services selector and directory of suppliers can be found towards the back of the publication. Locate and contact suppliers via our comprehensive Supplier Directory. To obtain a copy of the CDA Media Pack, please complete the Media Pack Form.